Due to its large user base, Facebook-owned WhatsApp is often targeted by scams and fraudsters. Now, the instant messaging app is yet again being used to propagate a new scam in the UK, with the intention of tricking users into disclosing their bank account details. A similar scam was reported last month, tricking users into paying charges by mentioning that their WhatsApp subscription had expired. Even though the scam is going on in the UK, given WhatsApp’s large user base in India, it might not take long for something similar to arrive here as well. 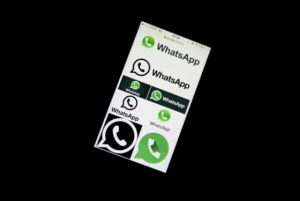 The instant messaging service has been completely free to download and use on all platforms since January 2016, when it dropped a small annual subscription charge that users were required to pay in order to continue using WhatsApp. Recently, WhatsApp received permission from National Payments Corporation of India (NPCI) to enter into partnership with multiple banks, in order to allow users make in-app payments and money transfers using the Unified Payments Interface (UPI). UPI enables account-to-account transfers from a mobile app without having any details of the beneficiary’s bank. This is the first time that NPCI, an umbrella organization for all retail payment systems in India, has approved a mobile app to enter into multi-bank partnerships.